Booked a clay-date lately? Clay's having a fresh moment, but maybe don't confuse it with mud. 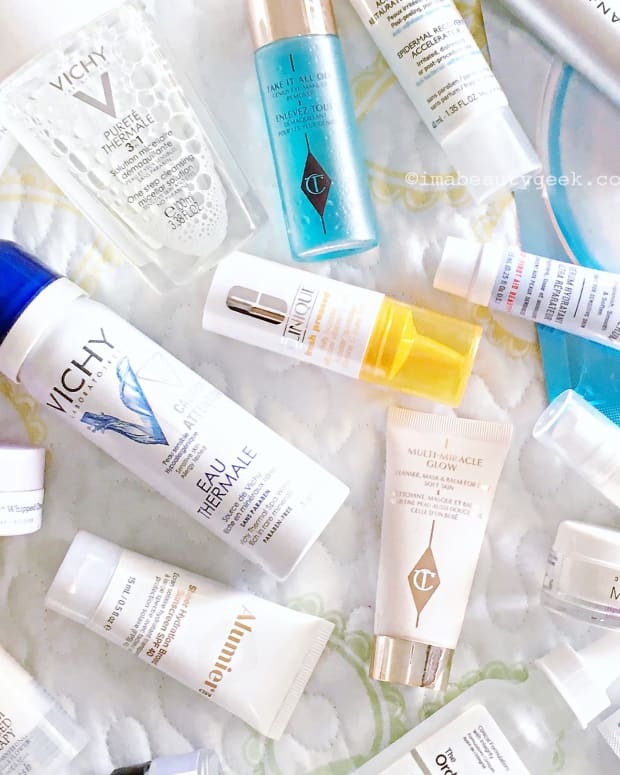 Clay is enjoying a bit of a mainstream comeback thanks in part to a multi-masking trend, and to recent launches from Olay, L&apos;Oréal Paris and Vichy. Some folks, though, even brands, seem to use the terms "clay" and "mud" interchangeably. But can they? Is clay different from mud? The answer is NO, the terms aren&apos;t interchangeable, and YES, clay is different from mud... in a "square is a shape, but not all shapes are square" way. "Clay is a more defined term than mud in terms of its properties," says Frauke Neuser, PhD and Olay Principal Scientist at P&G. "In clay, only certain minerals of a certain particle size are, strictly speaking, called clay. Mud is less well defined and could contain multiple types of minerals and soils." In Olay Deeply Clean, a cleanser for oily or combination skin, the brand specifically chose clay as the formula&apos;s signal ingredient. "Mud masks and cleansers work in similar ways, but depending on particle size and composition, mud may not be as gentle and efficient within a cleanser," explains Dr. Neuser. Bill Baker, founder of Consonant natural skin and body care, puts it like this: "There are really only nuances of difference in the context of beauty products, specifically masks. The raw material in a mud mask may or may not contain other minerals, while all variants of clay contain minerals and often contain other elements such as algae," he says. "But the fact is, most &apos;mud&apos; masks are made with clay." 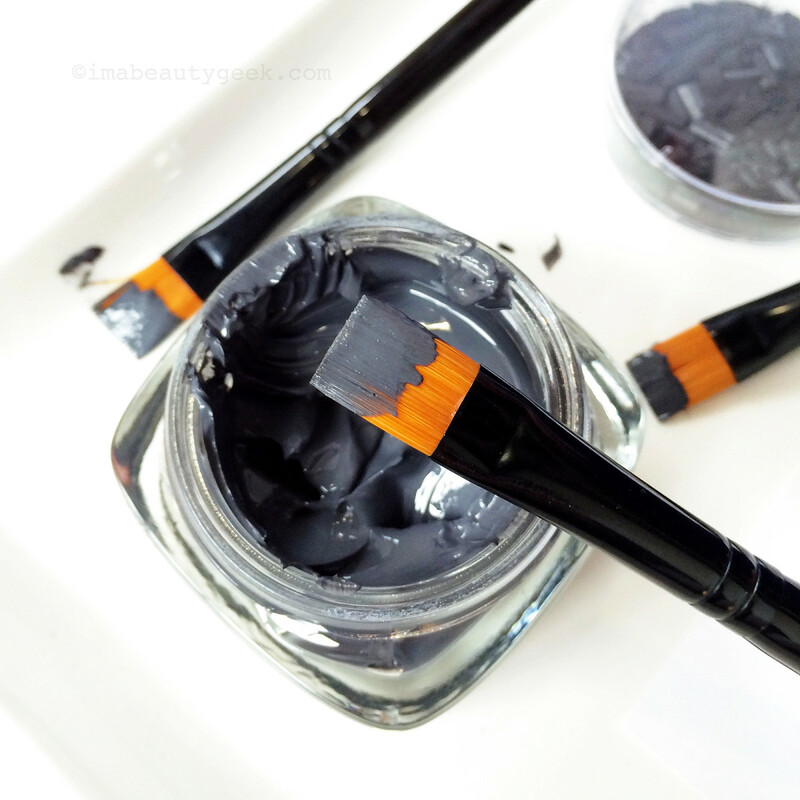 Mud masks that are really clay – yup, clay, not mud. Wait, what? 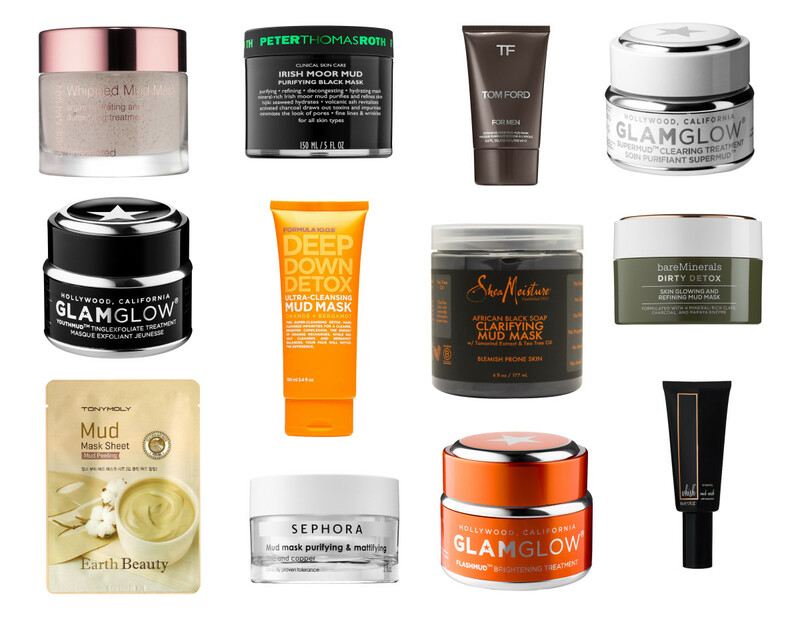 Yep, most "mud" masks, such as Josie Maran Whipped Mud Mask, Peter Thomas Roth Irish Moor Mud, Tom Ford Intensive Purifying Mud Mask, Glamglow Supermud, Glamglow Youthmud, Formula 10.0.6 Deep Down Detox Mud Mask, Sheamoisture African Black Soap Clarifying Mud Mask, Bare Minerals Dirty Detox Mud Mask, Tony Moly Sheet Mud Mask, Sephora Mud Mask, Glamglow Flashmud and Whish Renewing Mud Mask are made with clay, and kaolin and bentonite are most common. There&apos;s some online talk that mud masks are different in that they&apos;re more moisturizing than clay masks, but since most of these masks contain ingredients with potent moisturizing benefits, I&apos;m not sure that&apos;s really true. Plus, few mainstream mud masks actually seem to contain "mud." 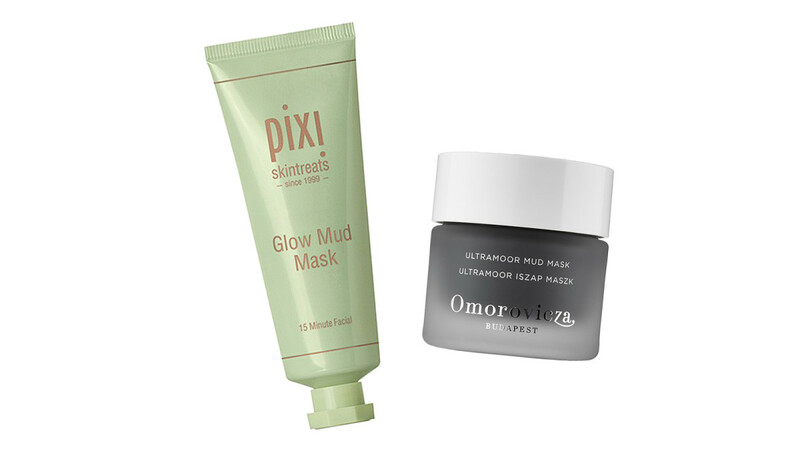 Pixi Glow Mud Mask and Omorovicza Ultramoor Mud Mask: Mud masks that actually contain "mud"
Pixi Glow Mud Mask contains "sea silt," also listed as "Mediterranean and Dead Sea mud;" Omorovicza Ultramoor Mud Mask has silt too, listed as "Hungarian mud" – and it&apos;s preceded by kaolin clay in the ingredients. Most commonly used in skincare (and makeup) seems to be kaolin, "a soft clay that removes oil and dirt quite well without stripping the skin," says Rocio Rivera, PhD and Scientific Communications Director at L&apos;Oréal Expert/Paris USA. 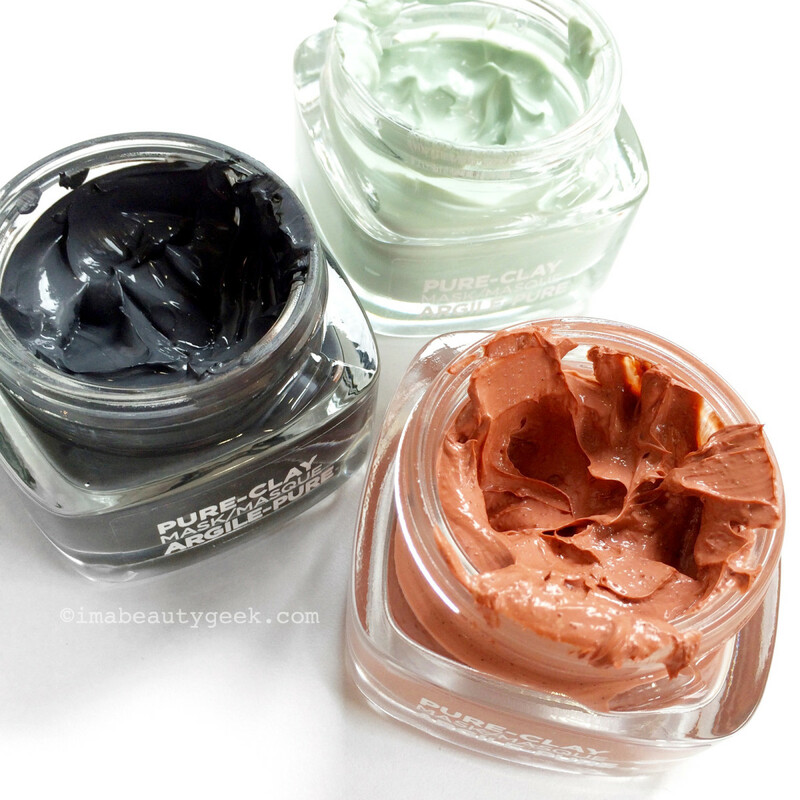 A key player in the recently released trio of L&apos;Oréal Paris Pure-Clay masks, kaolin is in most of the "mud" masks listed above, as well as in Olay Deeply Clean. Says Dr. Neuser, kaolin has "a very small particle size and is therefore ideal to draw oils and dirt from and out of the skin’s surface." Other familiar types include rhassoul from Morocco, where it&apos;s been used for centuries as a cleanser for hair, face and body; and bentonite, which is mostly composed of a creamy clay called montmorillonite that "swells when it comes into contact with water," says Dr. Rivera. "When we were developing the Consonant DHE Mask, we considered different types of clay for their different skin-benefitting (or not) properties," says Baker. "We looked at kaolin (gentle and slightly absorbent), bentonite clay (less gentle, more detoxifying, drying), and marine clay (very gentle, not drying, high levels of other beneficial compounds). "While kaolin and bentonite masks have terrific skin care properties, they can be quite drying and can cause irritation. When we discovered the Manicouagan Marine Clay we use in our mask, we knew we&apos;d found exactly what we were looking for. It is not drying, it helps to draw out impurities, but most importantly, it is loaded with minerals and traces of algae and plankton which help support healthy skin." In fact, Baker says he keeps some pure Manicougan clay in its powdered form at the Consonant boutique, so staff can give a bit to customers with really oily skin. "We recommend dusting a small amount on before applying our mask over top," he says. "It really does a great job of absorbing excess sebum, but again, without drying." The Fresh Umbrian Clay collection taps "an ultra-fine clay" found only in a small Italian town called Nocera Umbra. 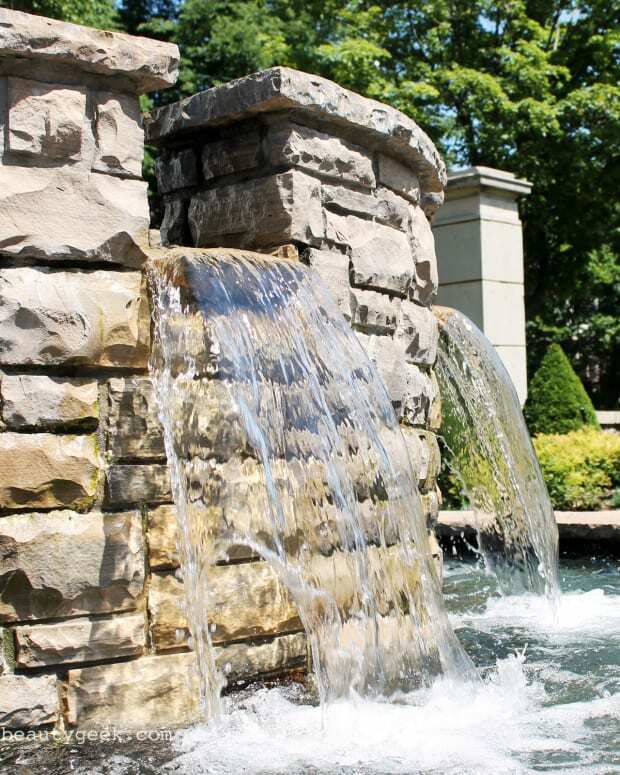 Word from the Fresh folks is that "the clay has a uniquely high mineral content, including calcite and quartz, as well as alkaline salt which gives it soothing and absorbent properties. The clay works to neutralize acidity, purify and clarify the complexion." Most clay masks contain additional ingredients to provide extra benefits. 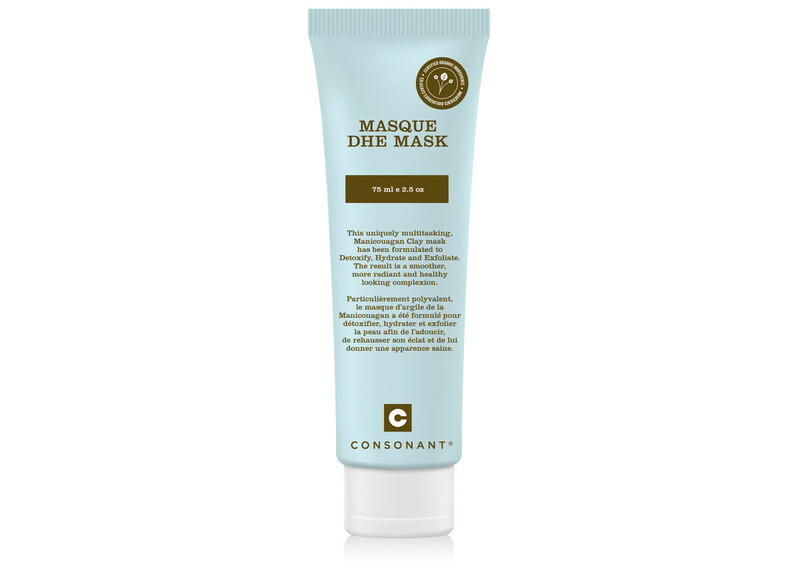 "Once we had the clay solved, we experimented with other ingredients to round out the experience," says Baker of Consonant&apos;s DHE Mask. 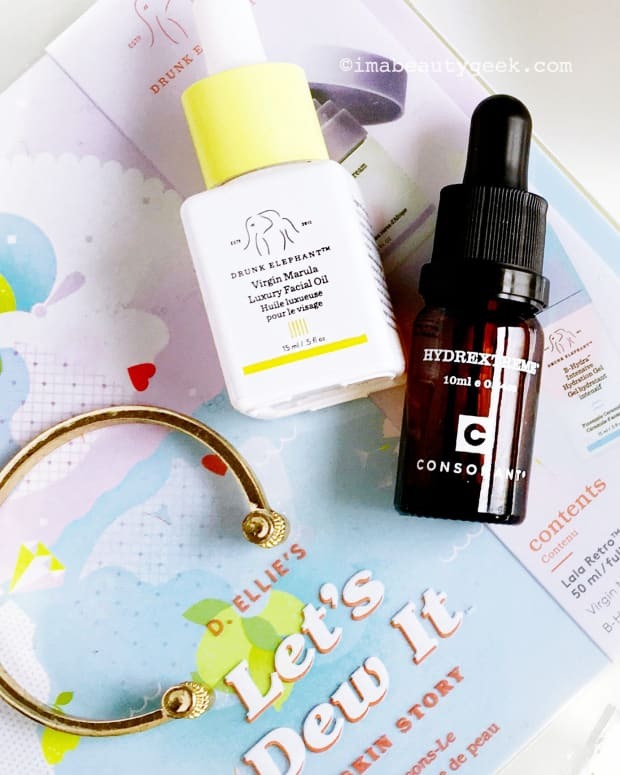 "[We added] fruit enzymes and willow bark for exfoliation, and HydrExtreme to ensure it isn’t drying to even the driest skin. I think we&apos;ve been successful because many customers tell us our DHE Mask is their favourite product, and we hear all the time about how hydrating it is." 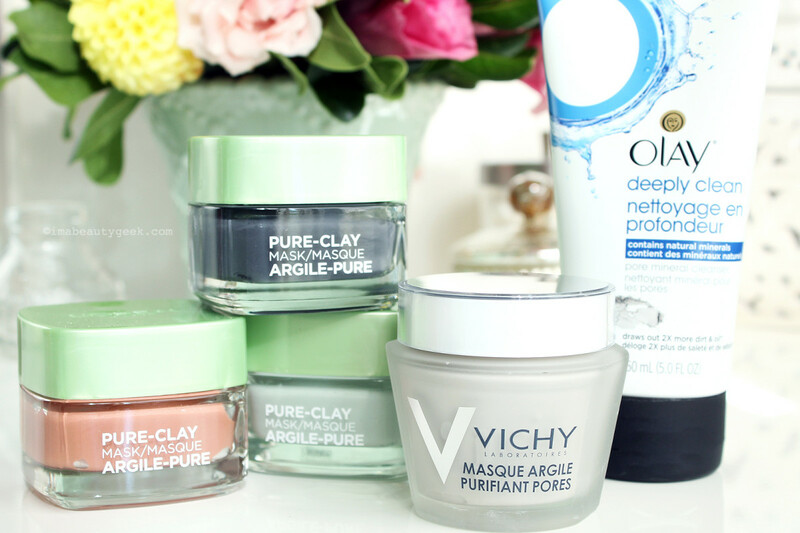 The new Vichy Pore Purifying Clay mask combines kaolin and bentonite (which, if you recall, is mostly water-loving montmorillonite) with aloe, Vichy thermal water and Vitamin E.
The L&apos;Oréal Paris trio blends kaolin, rhassoul and montmorillonite with treatment ingredients such as red algae (Exfoliate & Refine mask), eucalyptus (Purify & Mattify) and charcoal (Detox & Brighten). "We looked at different clays and different versions of different clays to ensure that these formulas were not only something that cleanses the skin, but something that transforms it, and something that you enjoy using," says Dr. Rivera. So, have you had a clay date lately? If no, are you planning one? If yes, with which one? Or do you multi-mask?